$4 doesn’t get you much these days – it’ll barely get you a small coffee in Melbourne if you’re lucky. However, what it will get you is one the most memorable gaming experiences of this generation. 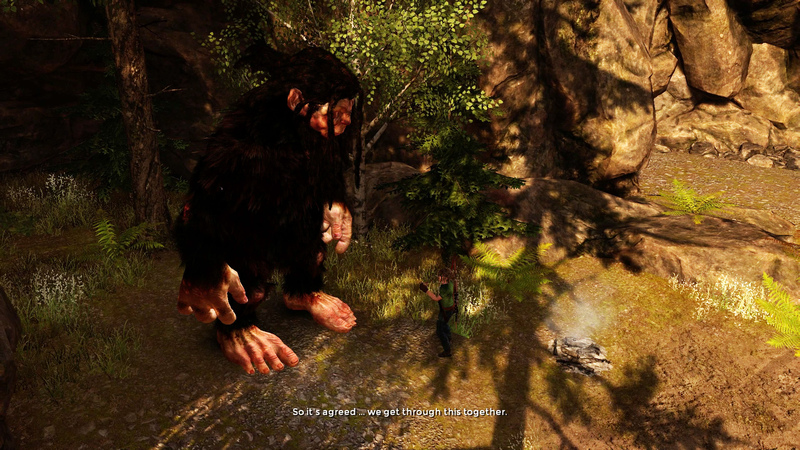 As part of EB Games’ Christmas sale, the company is offering gamers the chance to pickup Troll and I on either PS4 or Xbox One for $4. Talk about a ridgey-didge stocking filler or Kris Kingle gift. Now I know what a lot of you are thinking. You’re asking yourself why would you spend $4 on Troll and I when yours truly awarded it a 2/10? The answer to that is appreciation. After experiencing the…phenomenon…that is Troll and I you’ll have a whole new appreciation for games. Got a game-breaking glitch or a quest that won’t trigger? Well that’s nothing to what you’ll experience in Troll and I. Plus, you can play the whole thing in co-op, and what better way to strengthen the bond of a relationship that surmounting the odds as one? You owe it to yourself, friends and family to own such a masterpiece, and who knows, it might be a collector’s item in the years to come. P.S., Homefront: The Revolution is also $4 currently too (in-store only), and it would be remiss of me not to remind you that you should get all around it.